Having grown up in the 1970s under the influence of some of the greatest songwriters of all time, Nick Cody is on a mission to reach the hearts of people across the world with his music. A full-time communication therapist, but a passionate musician and collector of musical instruments his work relies not only on self-discipline and passion but on collaboration, dialog and the exploration of known and unknown music tools. Read more about Nick in our brand new interview with the artist. I have always had a great love of music and grew up in the in1970s listening to many terrific songwriters like Neil Young, Joni Mitchell, John Martyn, Elvis Costello, Nick Lowe and many others. By the age of 15 I was busking with my 45 quid acoustic guitar before later building a formidable collection of musical instruments including many electric ones as well as acoustic instruments from all over the globe. A few years ago I attended a workshop by Martin Simpson in the UK and subsequently have spent over 100 hours on a 1 – 1 basis with him learning about songwriting and performance, In 2014 I set up my first acoustic band “The Small Change Diaries” which has played festivals in the UK as well as overseas. We released two albums “Adam Blames Eve” and “Lullabies for Cynics” as well as an EP “Protest Songs” This is all original material. I now front a second band “Nick Cody & The Caravan of Dreams”. Currently I have a number of musical projects on the go. The main one is the new band “Nick Cody and The Caravan of Dreams” We just finished recording our debut album “Tales of Dark and Light”. Some preview tracks have been uploaded to Drooble and have already received good feedback. There are six main members to this ensemble including Agi on vocals, Rich Ferdi on percussion, Jed Bevington on violin, Fergus Quill on double bass and Chris Smith on keys. We also have guest musicians including international violinist Laurent Zeller. See more here: www.nickcody.co.uk. 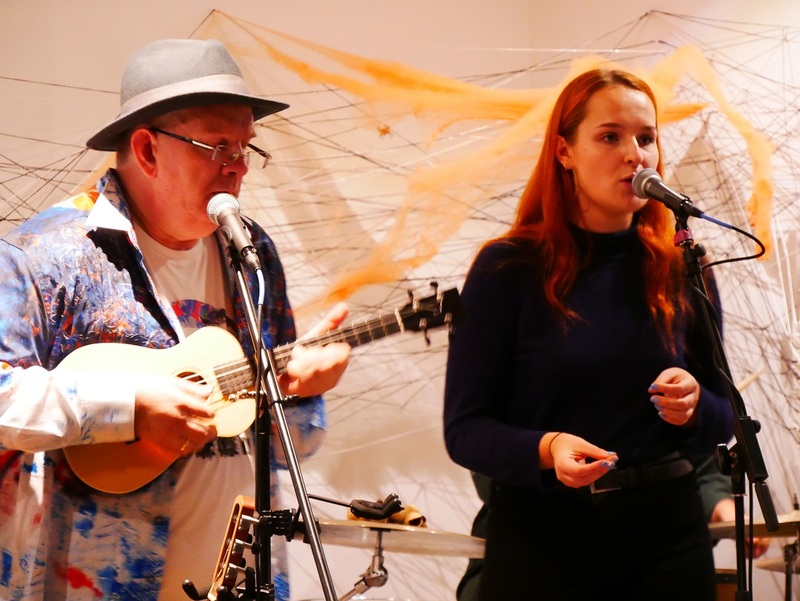 A second, already established project is “Original Ukulele Songs” which is a platform for international musicians creating music based around the ukulele instrument. The FB page has over 3000 members and the main site has 132 artist pages where each artist can profile their own music. See www.originalukulelesongs.com. In 2019 I will be launching the “Music for The Head and Heart” platform. This is not niched to any individual instrument but welcomes all types of music. The project will showcase musicians from all over the globe and I already have many artists on board for this. There will be a web-based element as well as live opportunities with an emphasis on musical collaborations. More details will be released early 2019 and my hope is to partner with Drooble on some aspects as there is some excellent crossover. In my “other life” I work as a communication trainer and therapist who travels the world teaching my model of communication. This gives me terrific access to a wide demographic of people and I can experience a huge range of cultures. Much of this inspires my writing and many songs have come from such experiences. This work also allows me to fund all my musical activities. I love music and have an extensive collection of over 50 musical instruments and a wide range of amps. I also have a number of very well-known friends who happen to be major international artists and we regularly have terrific discussions about music and “the music business”. Usually I will have a notepad on me to sketch ideas and a recorder to gather thoughts. I meet with my co-vocalist Agi twice a week every week to work on songs. Often I will initially write the basic structure on a ukulele and or guitar. We will then deconstruct the song to piano and focus on getting the melody and vocal expression right. Once we are happy, we’ll take what we have to the band and see how well it works. We keep a record of all rough takes and ideas, so we can track what is useful. Some songs are written quickly, and some take a great deal of time. So far, playing Lagoa Guitar Festival in Portugal has been a highlight. The whole band were flown over, and we played a big venue. At the time this was by far the biggest audience and all our material was brand new, so we didn’t know how it would go down. Our producer’s mantra is “One live gig is worth 8 rehearsals” and he was 100% right in this instance. My interest is in building up a body of work that really connects with a global audience. So far, I have written 36 original songs, and many have had radio play and been played live at gigs. Part of the interest in making this happen is developing my own writing skills and continuing to engage with other terrific musicians. I’m very new to Drooble, but so far, I am impressed by what I see. 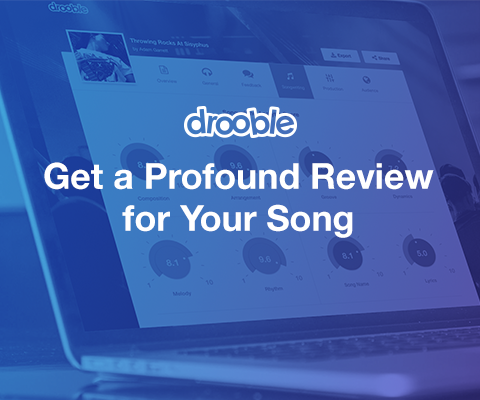 Drooble is a great platform to showcase a wide range of music and share ideas and opinions. I have already had many excellent exchanges and the Drooble team have been prompt in responding to any questions. 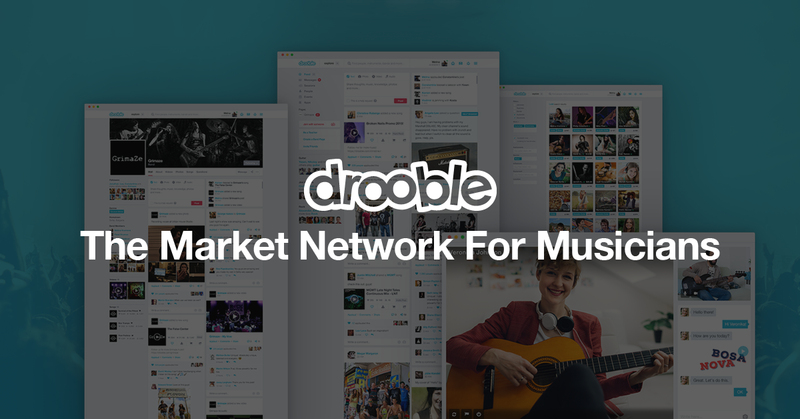 Drooble is unique in that its very focused and already has good momentum for musical discussions.